While the world is busy discussing ways to uproot and eradicate Antisemitism, the PA is busy cementing and preserving it. 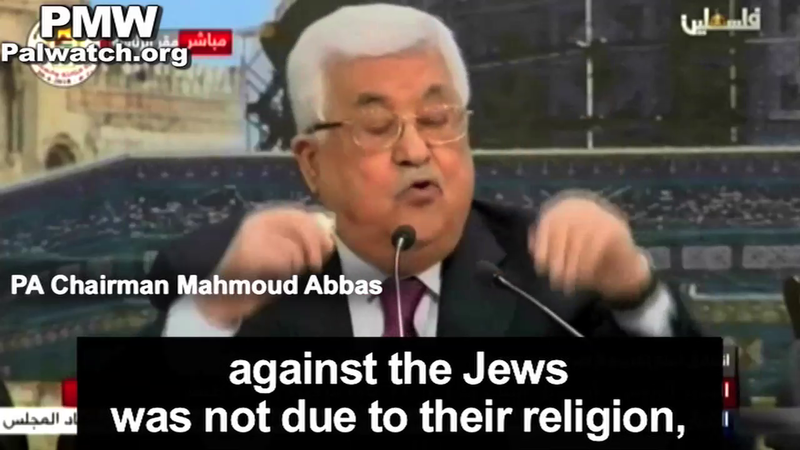 As the world commemorates International Holocaust Day today, Palestinian Media Watch documents that Palestinian Authority leaders are still spreading antisemitic hatred. 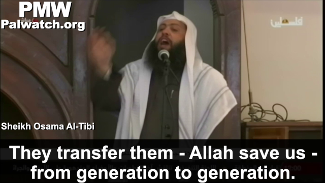 These hate messages are also directed at Palestinian children, and thus passed on to the next generation. While the world is busy discussing ways to uproot and eradicate Antisemitism, the PA is busy cementing and preserving it. PMW finds that antisemitic messages have increased in the PA in recent years. 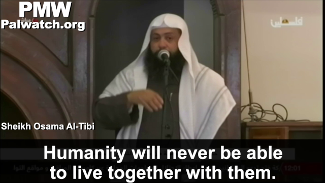 They are not mere hate incitement but represent a systematic hate ideology. "There is no global corruption that they are not behind"
"If a fish in the sea fights with another fish, I am sure the Jews are behind it"
"Always plotting against humanity - not just against the Muslims, but rather against all humanity"
PA leader Abbas' close advisor declared that the conflict with Israel "is not new" but is the continuation of the battle throughout history against Jews who represented "evil, falsehood, and Satan." Israel, he says, is therefore "Satan's project." 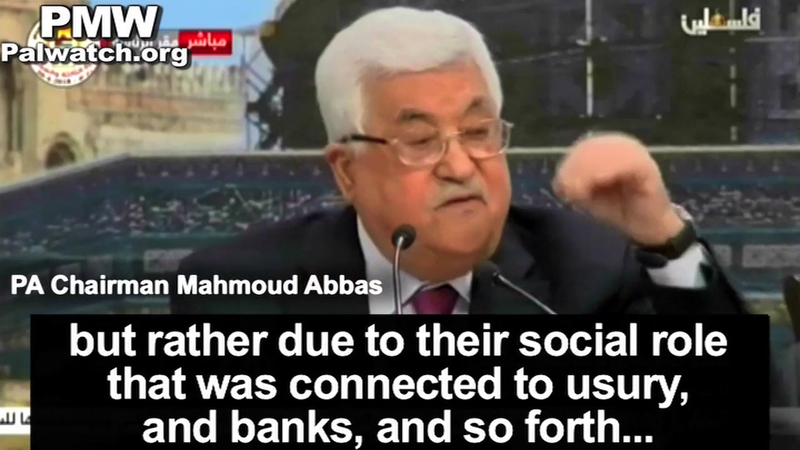 Abbas himself has said that the Jews suffered the Holocaust due to their behavior - because of their "social roles" connected to "usury and banks." A PA religious figure explained that Hitler was sent by Allah to punish the Jews, as were the Babylonians, Romans, and other Europeans. 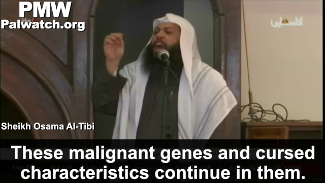 "These malignant genes... they transfer them from generation to generation. They inherit it from father to son." 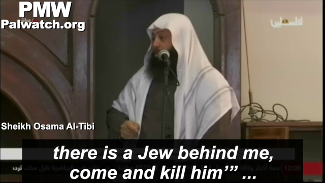 "At the end of time the Muslims will fight the Jews... 'Until the Jews hide behind a stone or a tree, and the stone or a tree will say: 'Muslim, servant of Allah, there is a Jew behind me, come and kill him'... count them and kill them one by one, and do not leave even one." 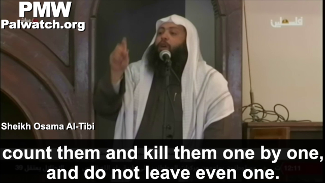 Palestinians who accept these teachings will feel justified and even motivated to kill Israelis/Jews. 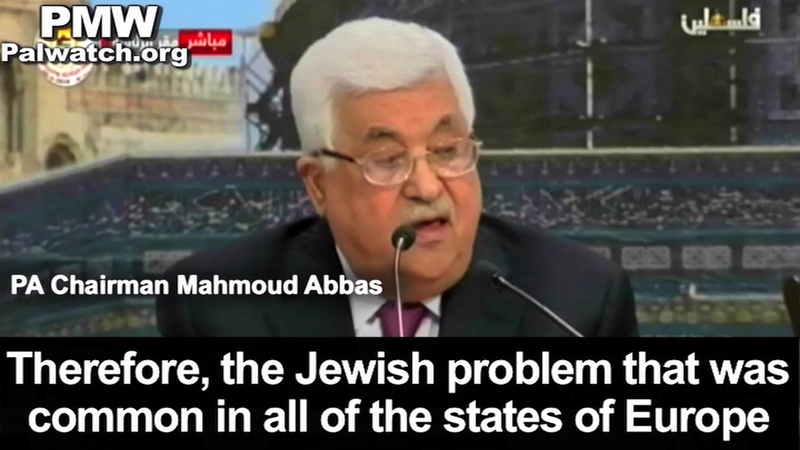 With this messaging from the PA leadership, it is not surprising that the ADL Global 100 poll in May 2014 found that Palestinians are the most antisemitic people in world. The poll found that 93% of Palestinians believed that at least 6 of the 11 negative stereotypes tested were "probably true." 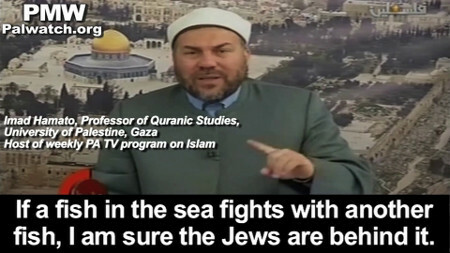 For example, 78% of Palestinians believe that "Jews are responsible for most of the world's wars," which is a direct conclusion from PA teachings. 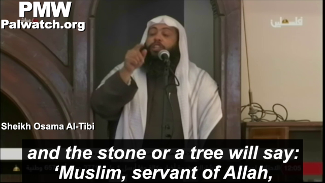 'Until the Jews hide behind a stone or a tree, and the stone or a tree will say: 'Muslim, servant of Allah, there is a Jew behind me, come and kill him' ... Allah, strike your enemies, the enemies of the religion, count them and kill them one by one, and do not leave even one." 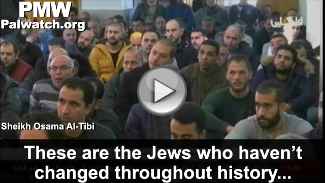 PLO official: "Jews... knew only to make money, trade, weave plots, corruption... The European nations and Russia were sick of them"
Girl's antisemitic poem on PA TV: "Jews defile Jerusalem"